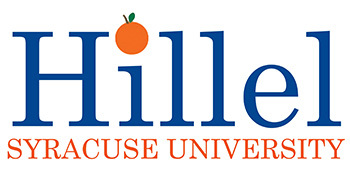 To meet the ever-growing demand for attendance at the annual, on-campus Passover dinner, Hillel at Syracuse University has announced that the Carrier Dome will be the 2015 venue. After moving from the Winnick Hillel Center to Goldstein Auditorium, and finally to Flanagan Gymnasium, it’s clear that the Carrier Dome is the only way to truly achieve the all-inclusive, community atmosphere that is so much a part of the Passover tradition. “We never, at any Hillel program, want to turn people away,” says senior Zach Goldberg, the Hillel Programming Associate. Goldberg is on the front lines for coordinating the event, along with Lila Birenbaum, the vice president of religious life for the Hillel Jewish Student Union. Birenbaum, also a Syracuse University student, will organize and execute the entire two-hour service for the Passover dinner, while Goldberg works behind the scenes to make sure the event runs smoothly. “Anybody who walks in should feel comfortable,” says Brian Small, the executive director of Hillel at Syracuse University. “We’re Jewish, but we have friends and supporters who are not Jewish; we’re a home away from home for all students.” To add that sense of Syracuse community, Small explains that there are several Hillel Passover traditions unique to SU, such as an orange on Seder plates and on toys representative of the various plagues mentioned in the service. Hillel also plans on taking full advantage of the resources offered by the Carrier Dome to deliver the service. Announcements will be displayed on the speaker board, and audio-visual resources will enable Eric Fingerhut, CEO of Hillel, to address the crowd. Additionally, the Carrier Dome’s CART system makes the service accessible to guests with hearing disabilities. “We’re incredibly grateful for all of the staff who helped make this possible. This is a huge undertaking, and they really bent over backwards to make sure we felt comfortable,” says Small, on working with the university to adapt the event for the Carrier Dome. “We’re having one of the most important events in the Jewish year in one of the most important venues to the Syracuse community,” adds Goldberg. Passover in the Carrier Dome will be held on Friday, April 3, at 6 p.m. Tickets are available at the Winnick Hillel Center on Walnut Place, and can be purchased with cash, credit, SUpercard and even meal swipes for those with a valid SU meal plan. For more information, contact Hillel at Syracuse University.